I think since we're approaching the end of the month it's time to reveal that I'm going to be moving on to a new scoring system on SuperPhillip Central. The change will be highlighted in a future post. Reviews will be written the same (the jury's out if that's a good thing or a bad thing), but the scoring system will be altered, hopefully for the better. In the meantime, let's enjoy the old system while we can with this review from a game in one of my favorite franchises, Ratchet & Clank! This is going to be the beginning of a beautiful friendship. No, I don't mean just between the pair of Ratchet and Clank, who start off as very different characters at the beginning of the game compared to how they turn up at the end, as good friends. 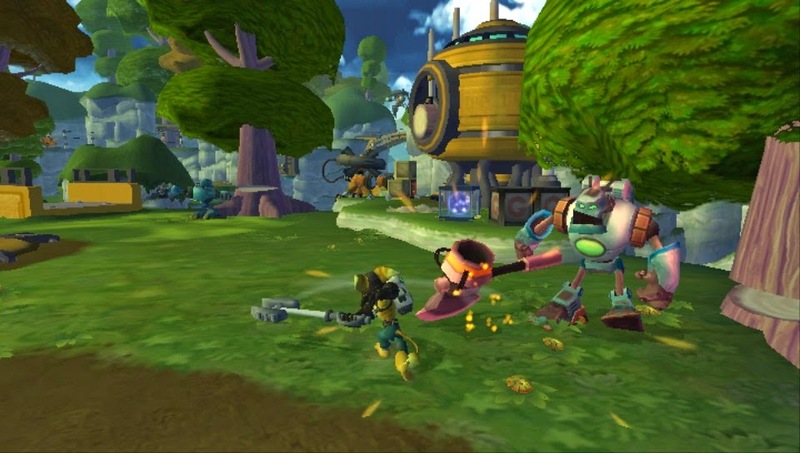 At the start of their partnership, Ratchet couldn't care less about saving the universe while Clank is highly naive and trusts pretty much anyone. I mean Ratchet & Clank for many players might be their first foray into the franchise, what, with this being the first game of the HD collection on the PlayStation Vita. No doubt many will find the original so much fun that they'll become players and then fans of the sequels. It only gets better from there, but like every good friendship, it has to start somewhere. 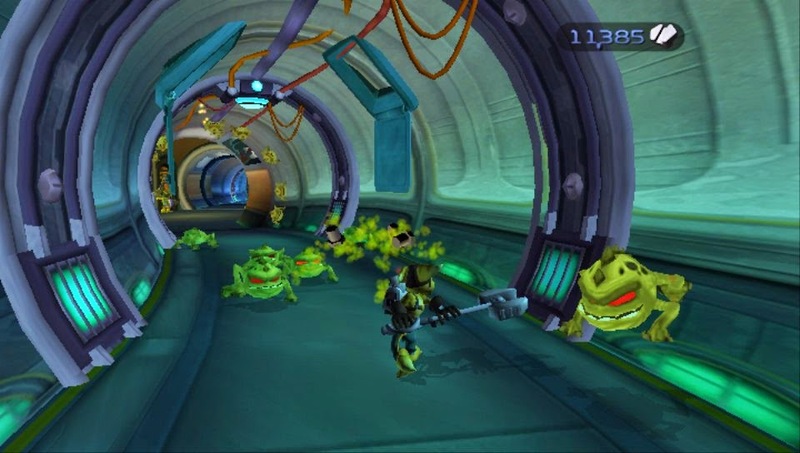 That somewhere is the original Ratchet & Clank, now available in handheld form as part of the download-only Ratchet & Clank Collection for the PlayStation Vita. While it's still a blast to play, future installments quickly make certain parts of the game feel obsolete and ancient in comparison. 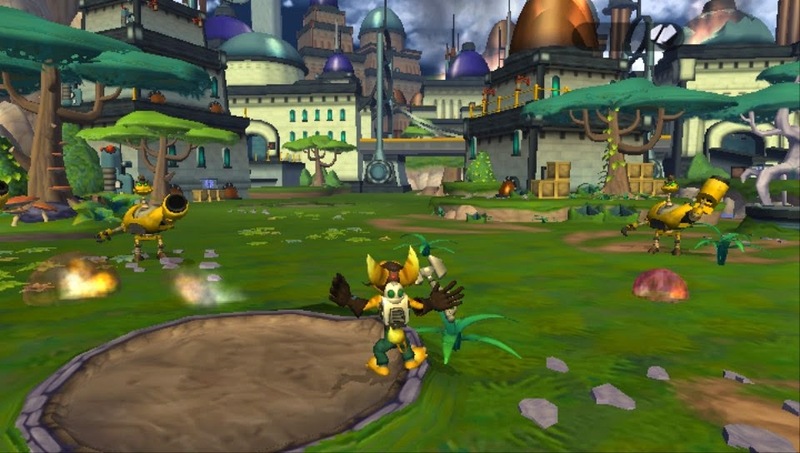 Ratchet and Clank traipse around over 15 different planets and areas throughout their inaugural adventure together. Starting out armed with only a wrench for close-range attacks and a blaster for long-range shots (albeit with limited ammo), the two deal damage to Chairman Drek's plan to take pieces of various planets to build his own world. the first Ratchet & Clank. From defeating enemies and breaking boxes, you earn bolts that can be used to purchase ammunition and new weapons at various Gadgetron vendors. Whether it's a powerful missile launcher with the Devastator, a glove that throws out bombs (fittingly called the Bomb Glove). 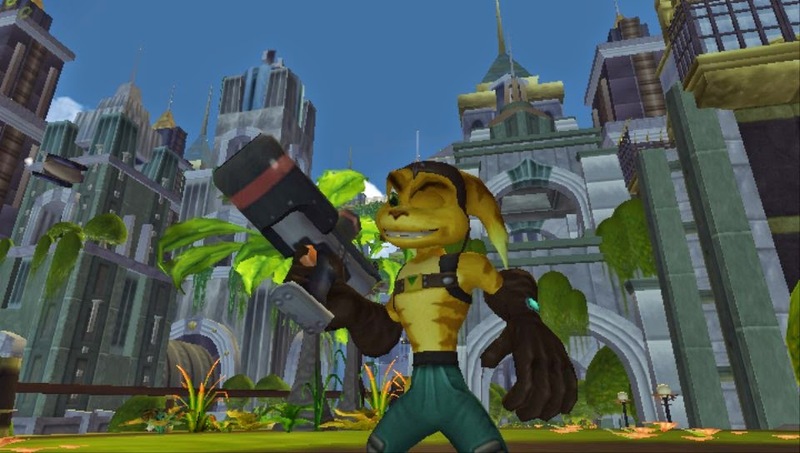 a flamethrower called the Pyrocitor, or any other of the over a dozen weapons fit for combat, Ratchet can accumulate a nice stockpile of weapons. Just don't wonder how he holds them all. It's not worth asking the question. So much for a nice day at the beach. 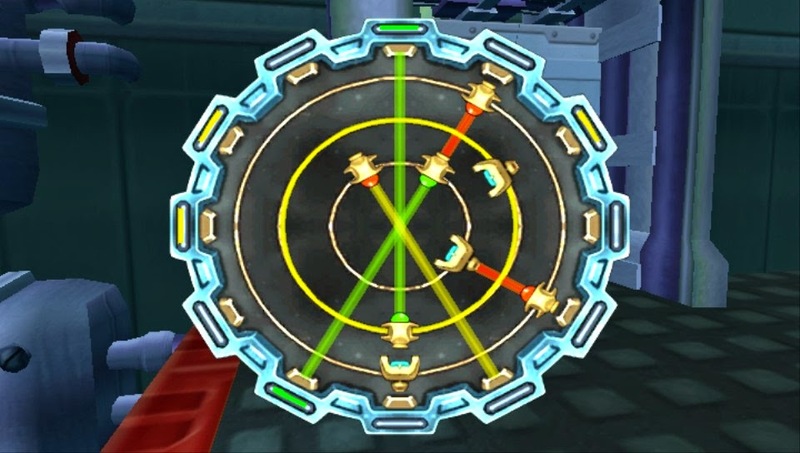 In addition to weapons, Ratchet acquires gadgets to help him get past various obstacles in the way. He can use the Swingshot on specific targets to hook onto them and swing across gaps and chasms, the Trespasser to open locked doors after playing a short mini-game, the Hydro Displacer to empty and fill pools of water for progression, and many more. make these beams shine on every target. 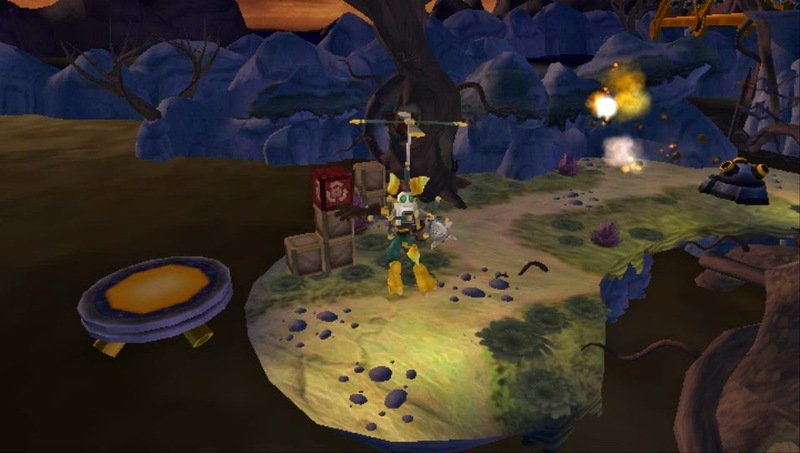 Each world that Ratchet and Clank enters has multiple paths, each leading to one of several objectives the two need to complete. These are as simple as meeting up with an NPC, acquiring a certain gadget, obtaining an Infobot that details the next location the pair should travel to, and things along those lines. This enemy is about to get lumberjack-ed! After beating the game initially, Ratchet & Clank still offers a ton of content. For one, there are 40 Gold Bolts hidden throughout the game in some incredibly clever places. After the game is completed, you have the option to play through the game again with all of your weapons you have obtained and double the bolts you can earn. This makes buying the rest of the available weapons much easier (though the one million bolt trophy is still ridiculous). Lastly, skill points can be earned. 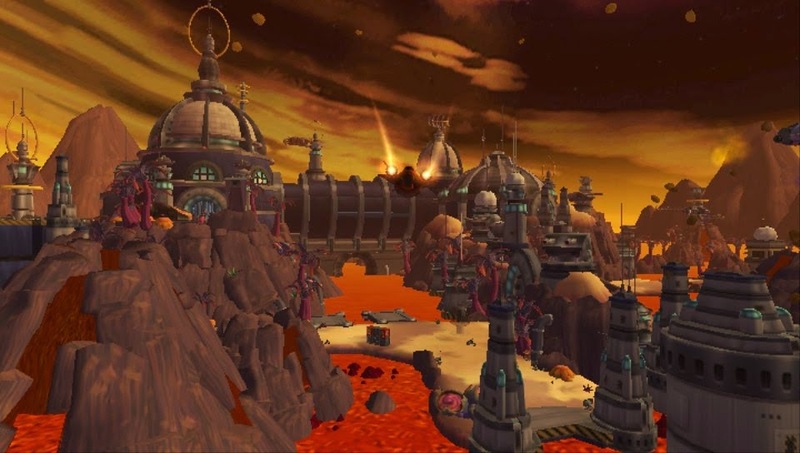 These are challenges that are completed by performing a certain in-game task, such as destroying a certain amount of flying vehicles in a level, taking out a boss with only Ratchet's wrench, or completing a grinding section without taking damage. These skill points unlock behind-the-scenes content-- for example, a sketchbook. Nothing like a frosty reception to sour a lombax's mood. For those returning to or playing Ratchet & Clank for the first time after playing later games in the series is that you quickly miss a lot of the features of those games that you probably took for granted. For one, strafing is not an option, meaning that you have to do a lot of gymnastics as Ratchet to attack enemies while avoiding their own assaults on our heroic lombax. It makes it hard to target specific enemies and get a desired camera angle in the process. Furthermore, the quick select menu in future games pauses the gameplay so you can select a different weapon or gadget without having to worry about being fired upon in the process. This is not the case with Ratchet & Clank. I couldn't since this was the original R&C. By far the feature I missed most from more modern Ratchet & Clank games that is sorely MIA in the original is a notification once you've arrived at a checkpoint. This issue is exacerbated by checkpoints in levels being so few and far in-between. Don't be surprised when you have to redo entire portions of levels because you died just short of a checkpoint you didn't even know was there. The only positive here is that the Trespasser puzzles you did on your first pass through the level section will be solved if you have already completed them, making your return to spot you last died a faster one. capabilities. A bot has to hold his own, y'know! 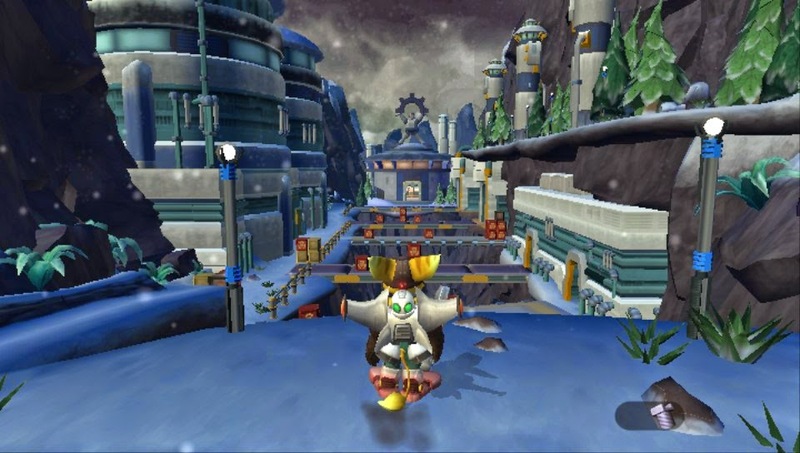 The HD incarnation of Ratchet & Clank plays relatively well on the PlayStation Vita. It looks phenomenal with limited jaggies, large draw distance with little in the way objects and geometry magically appearing from out of nowhere, and beautifully realized worlds. 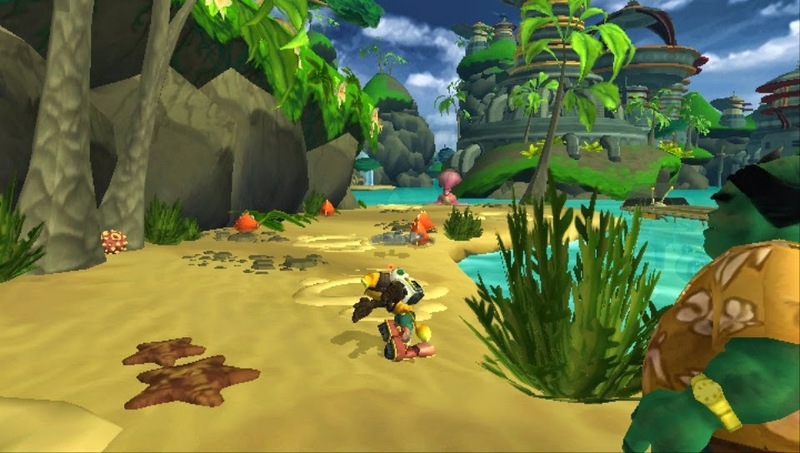 The only main issue with how Ratchet & Clank controls on the Vita is during the game's hoverboard races. One of the trophies involves performing a four trick combo in the air, requiring the L2 and R2 buttons. As these are missing from the Vita hardware, you have to use the rear touch pad at such a spot to get the inputs to properly register. It makes an otherwise easy trophy a nightmare to get without a good deal of practice and troubleshooting. Overall, Ratchet & Clank HD is a great 3D platformer with tons of content, but it falters in many ways that future sequels have only made increasingly more obvious. By no means is the game an old fossil that is not worthy of being played. It just lacks the included features of the sequels that many fans and players of the series have probably taken for granted. 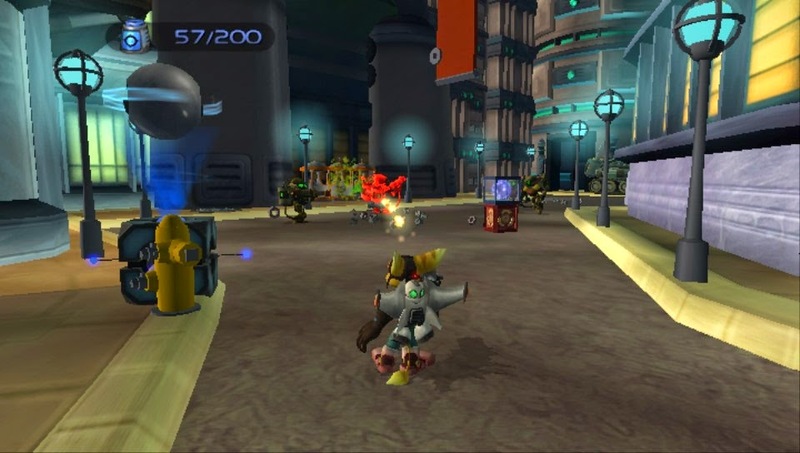 Still, if you want to see how this fantastic PlayStation platforming series started, there is no better beginning than the original Ratchet & Clank.